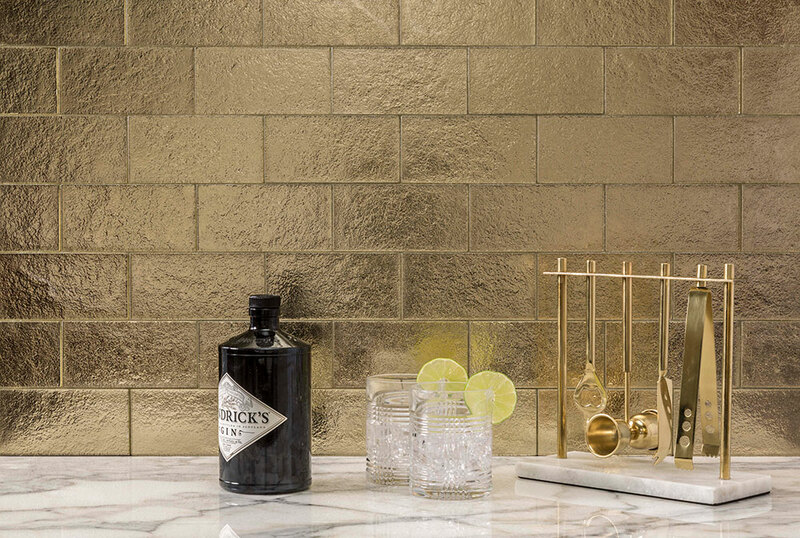 In December, everyone in interior design was buzzing about gold. 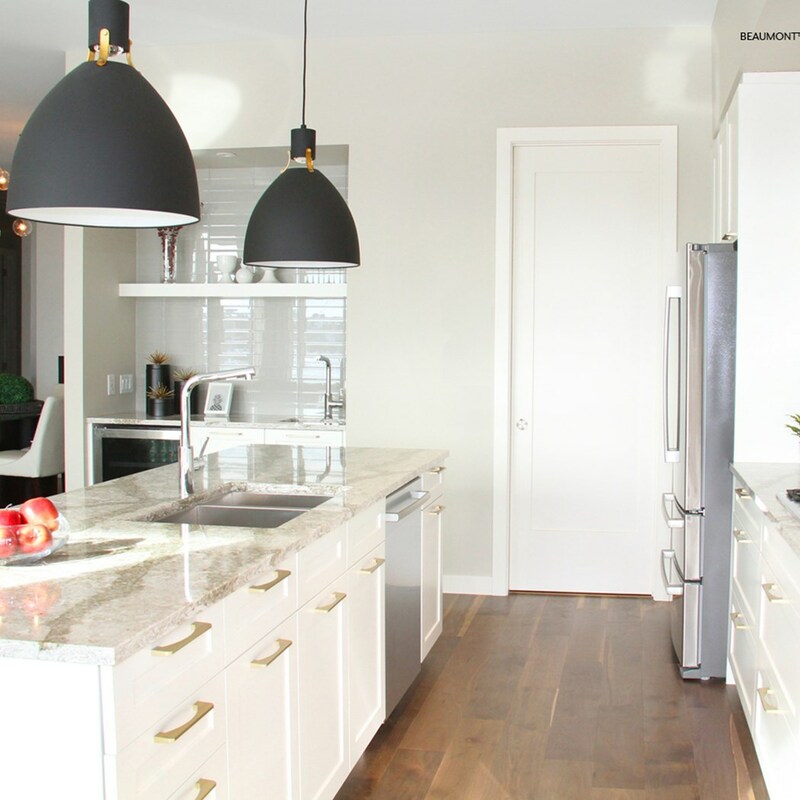 Brass faucets, door pulls, and other fixtures were making a comeback. 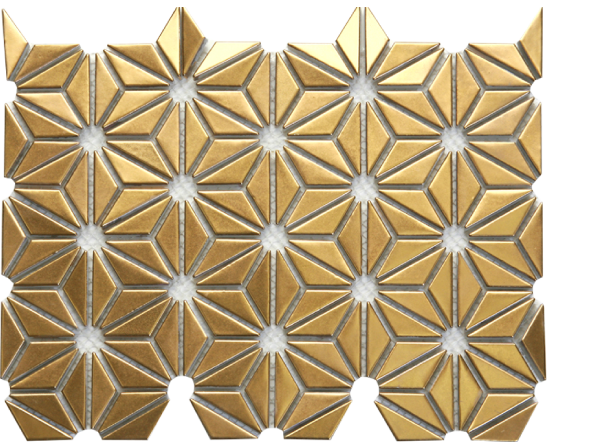 New gold tile designs were starting production. 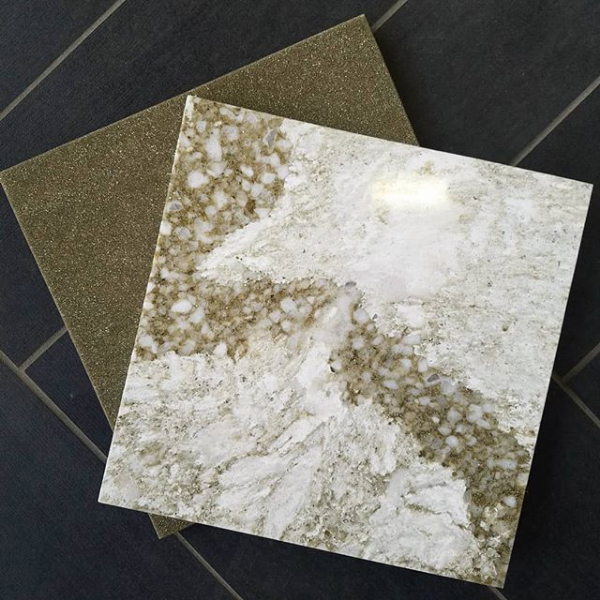 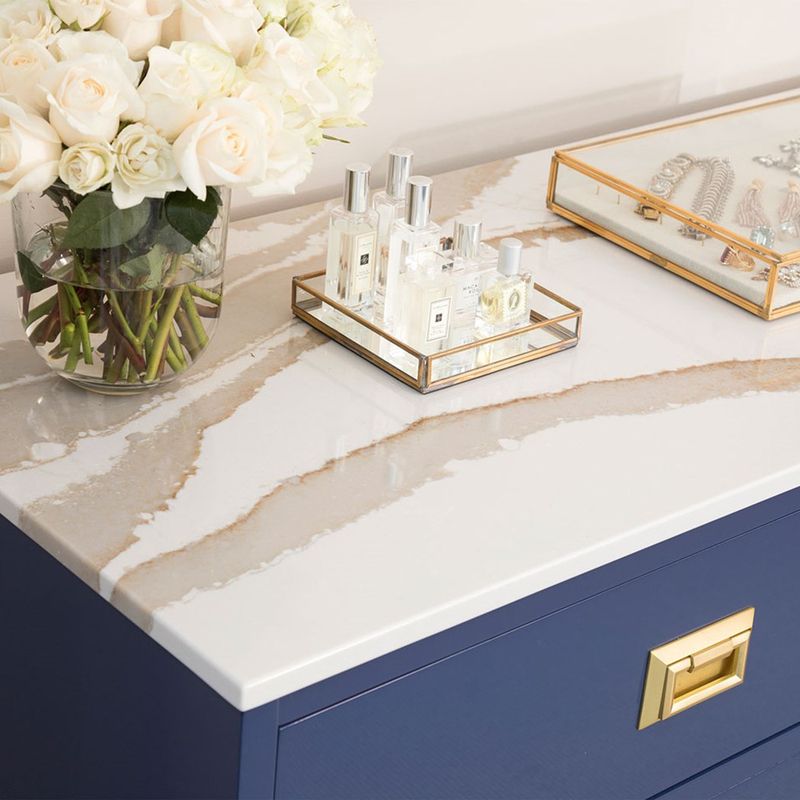 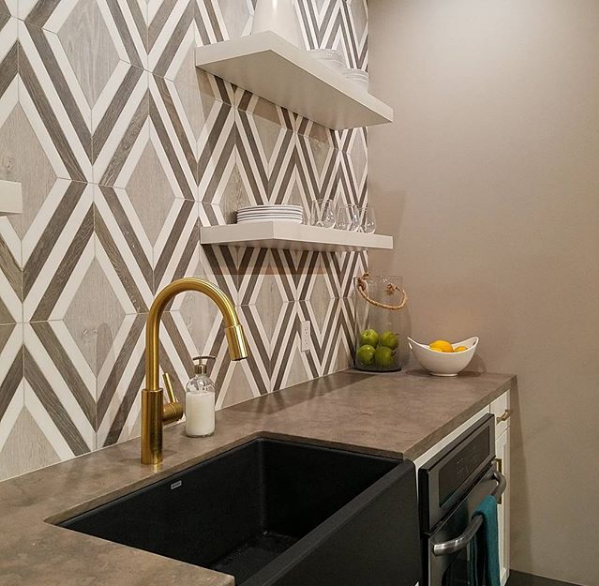 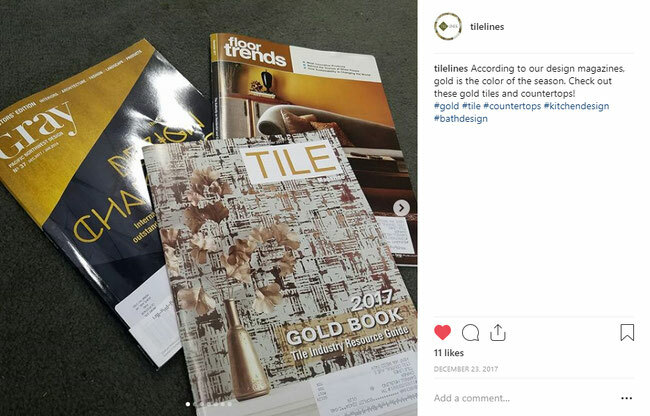 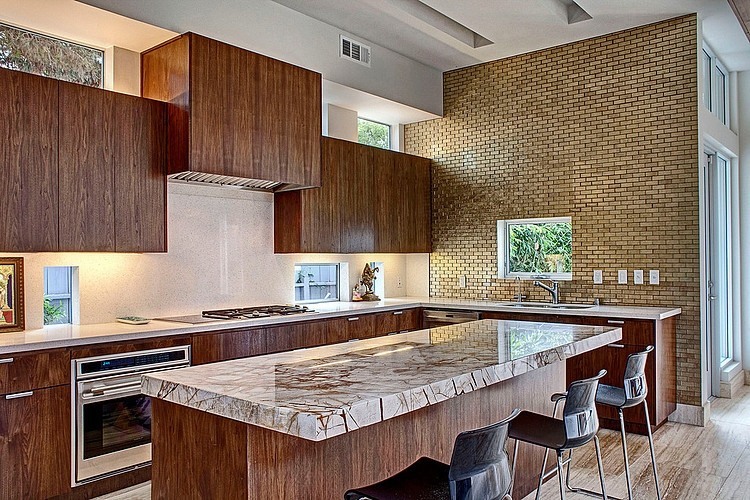 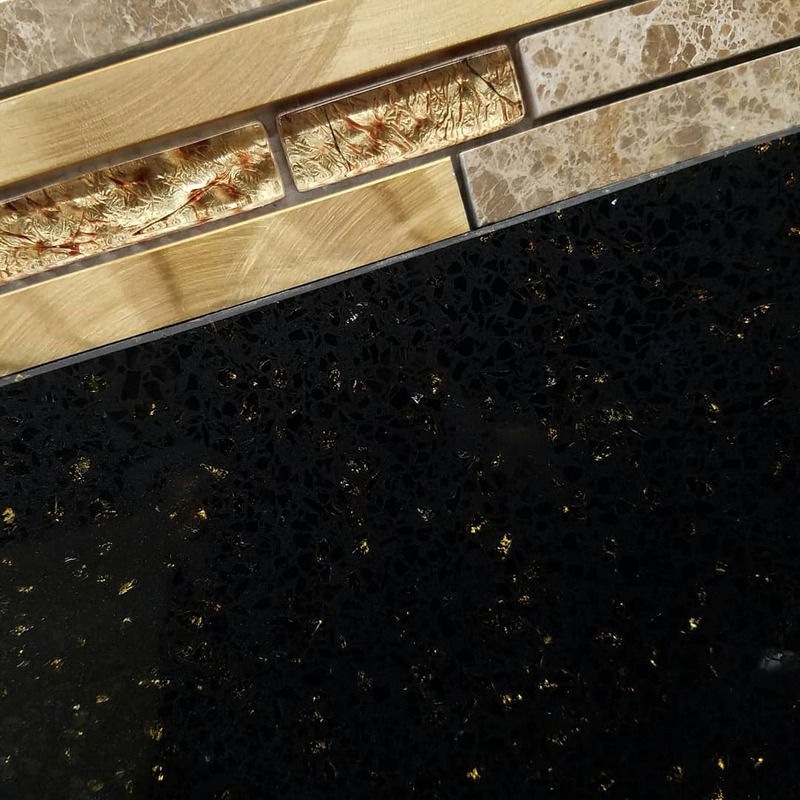 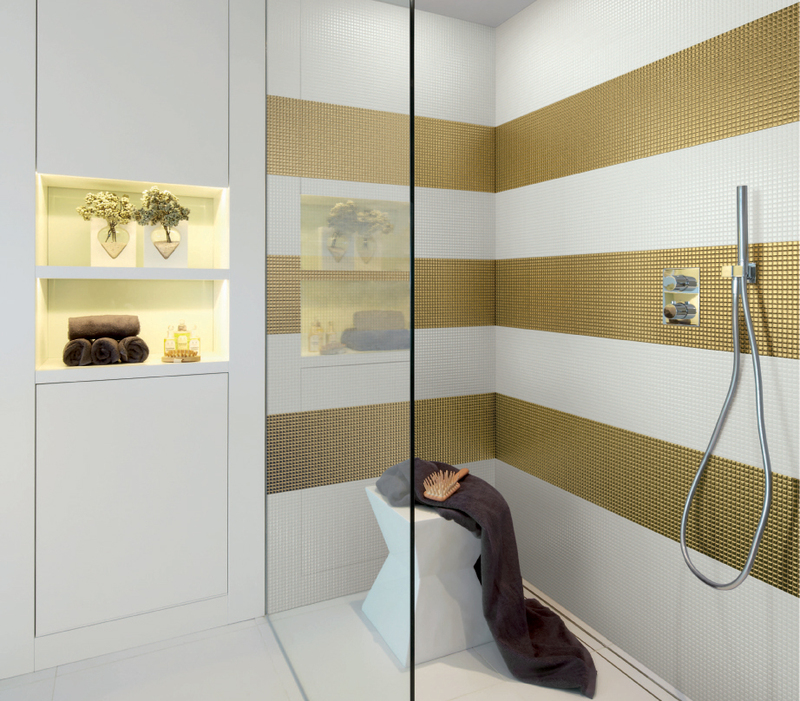 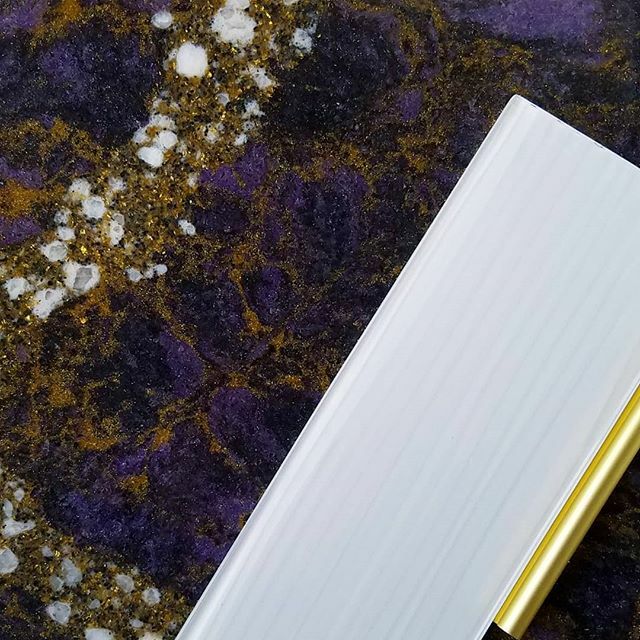 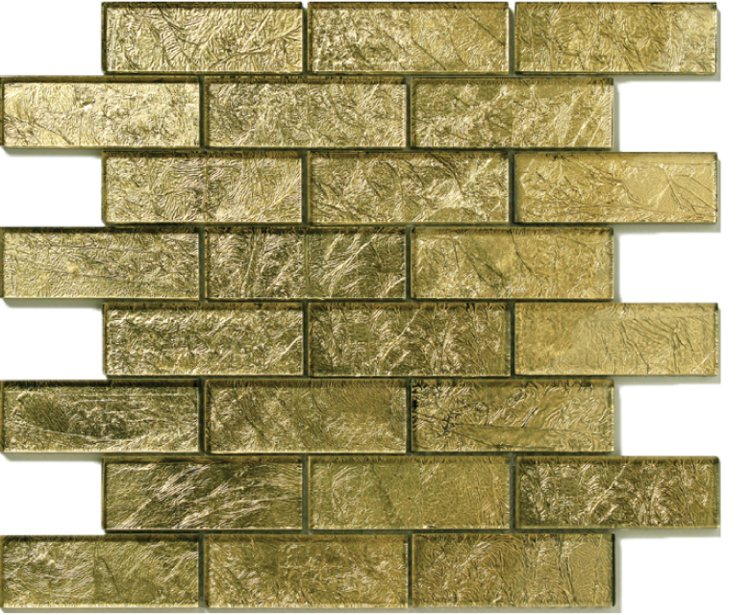 Almost a year later, this trend is as hot as ever, and there are now hundreds of ways to introduce gold to your next tile project. 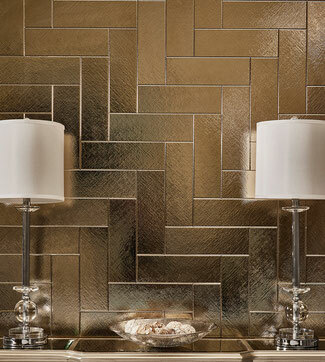 Textured gold brick tiles in a herringbone pattern provide a luxe, illuminating backdrop to your life. 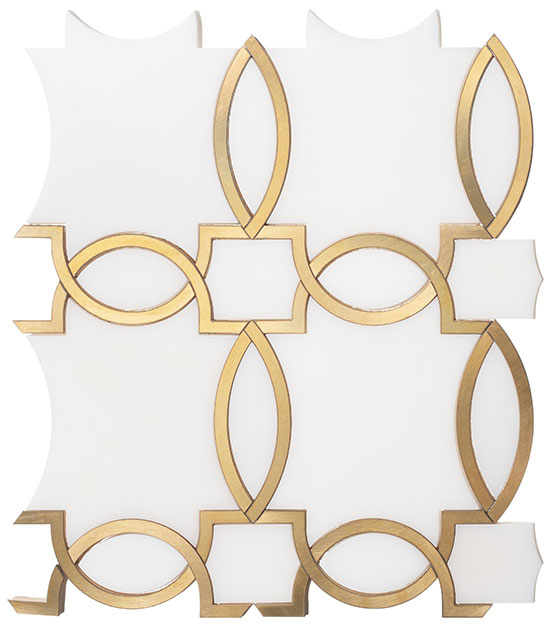 Come and go in style with a golden entryway feature wall. 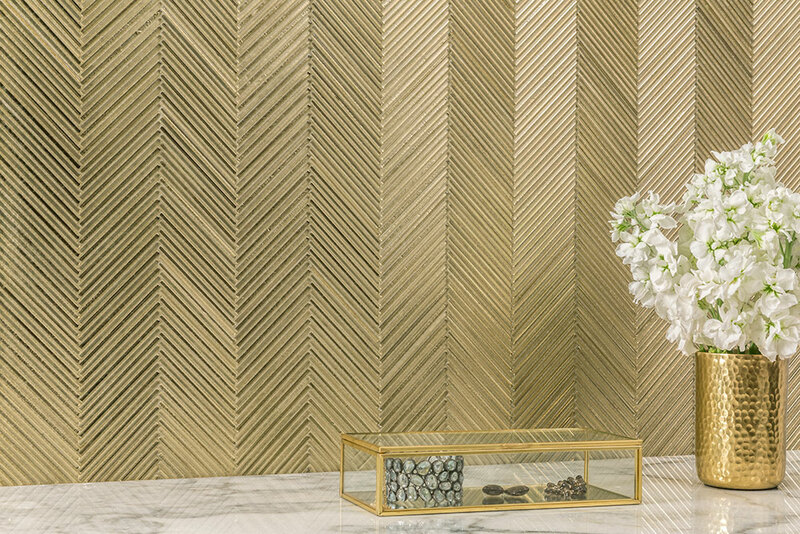 Welcome guests to your home with a warm, gorgeous, golden entryway. 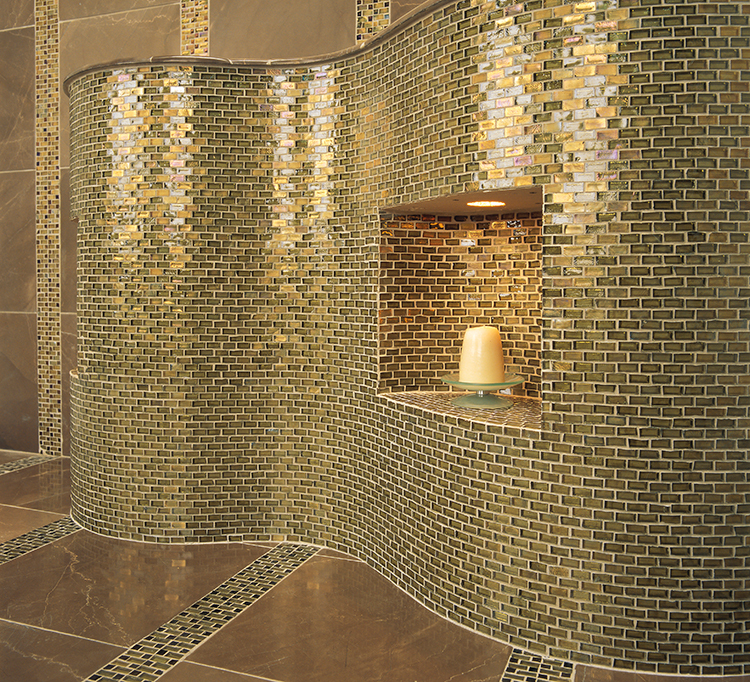 Unwind in a decadent, luxurious spa-like bathroom. 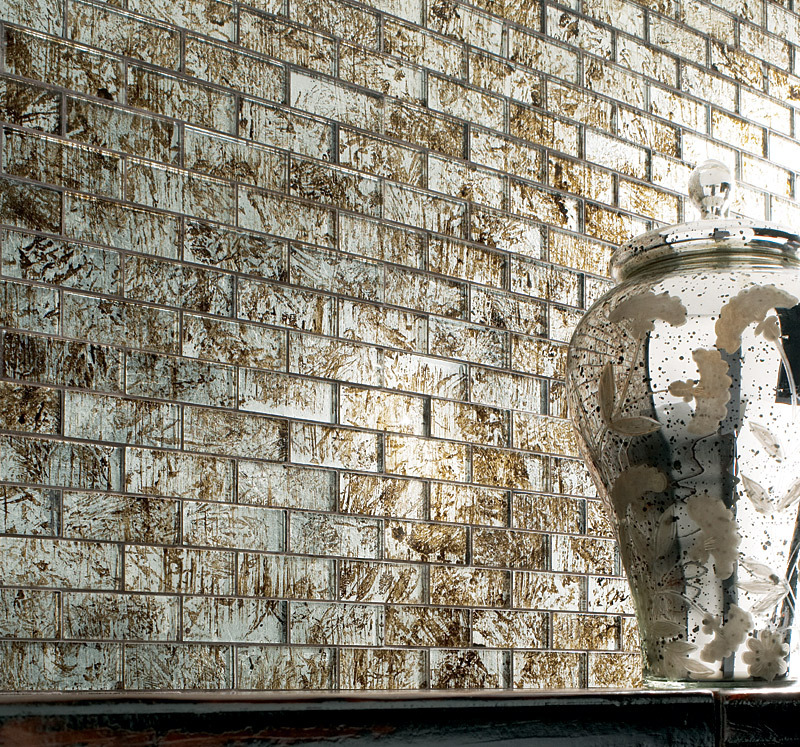 Make your fireplace the focal point of your living room. 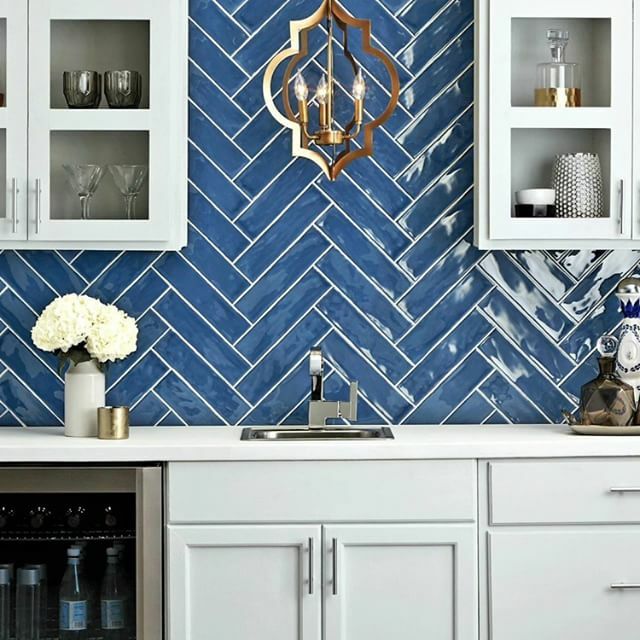 Enhance your kitchen with a beautiful backsplash. 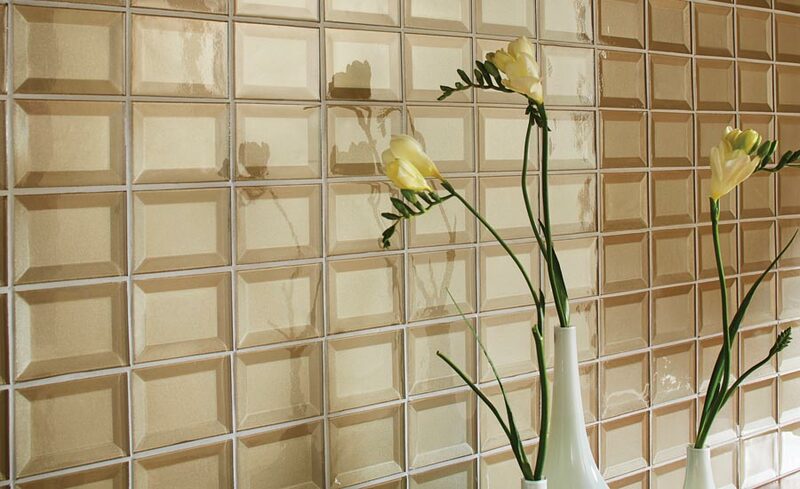 Add some romance to your bedroom with a golden wall acting as a headboard. 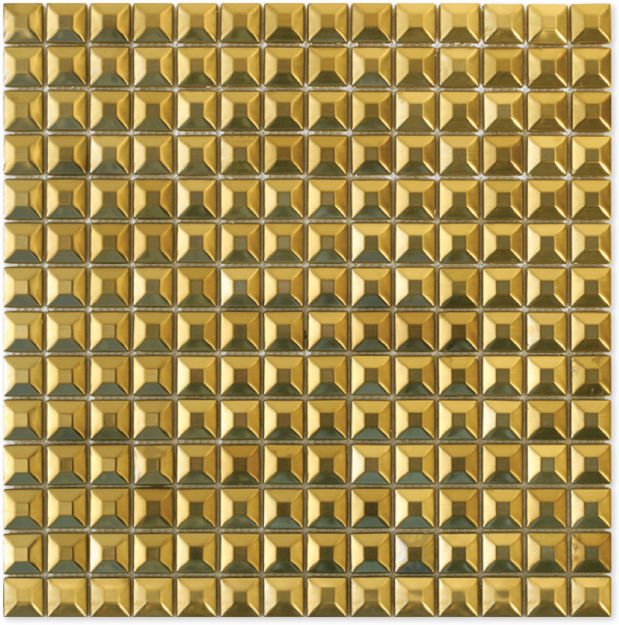 Wow the world with a wall of gold! 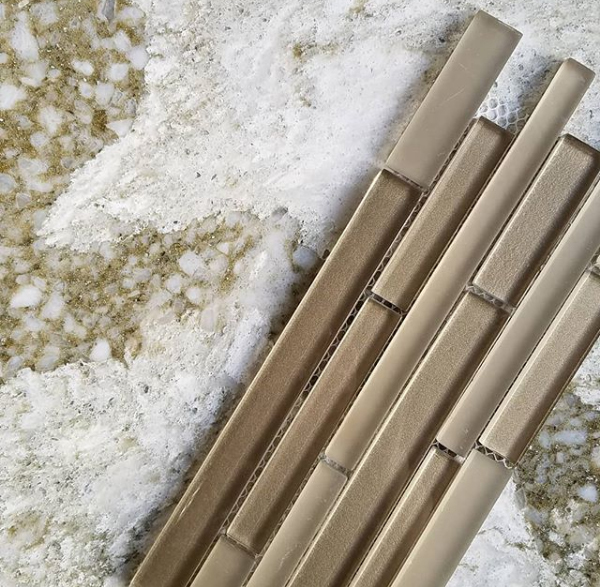 Brass trim is available with polished, brushed, or satin finishes and flat, round, or square shapes for maximum design choices. 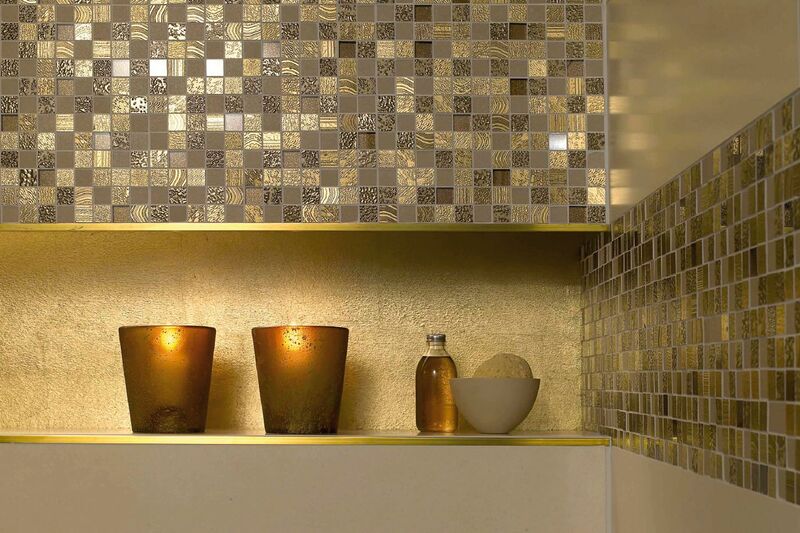 Whether you have an full feature wall of gold or you want just a touch of sparkle, you should consider brass trim. 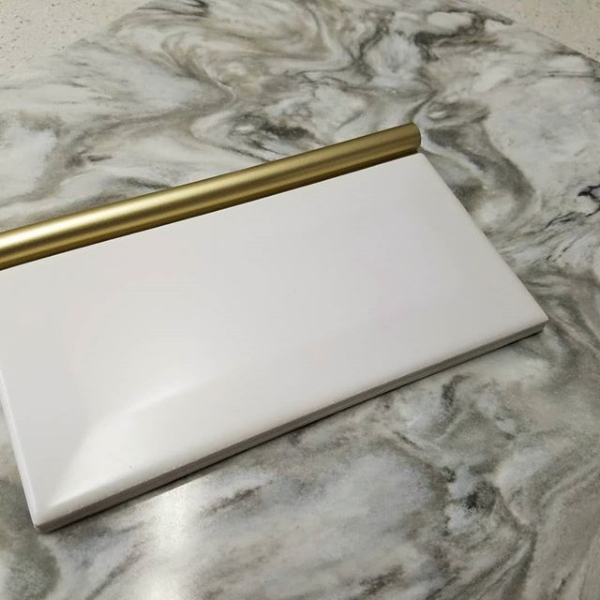 Schluter makes several shapes and sizes of either real brass or plated aluminum tile edging that finishes your tile with a touch of gold. 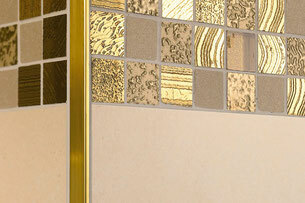 With brass fixtures growing in popularity, trimming your tile in gold is the perfect way to tie a room together. 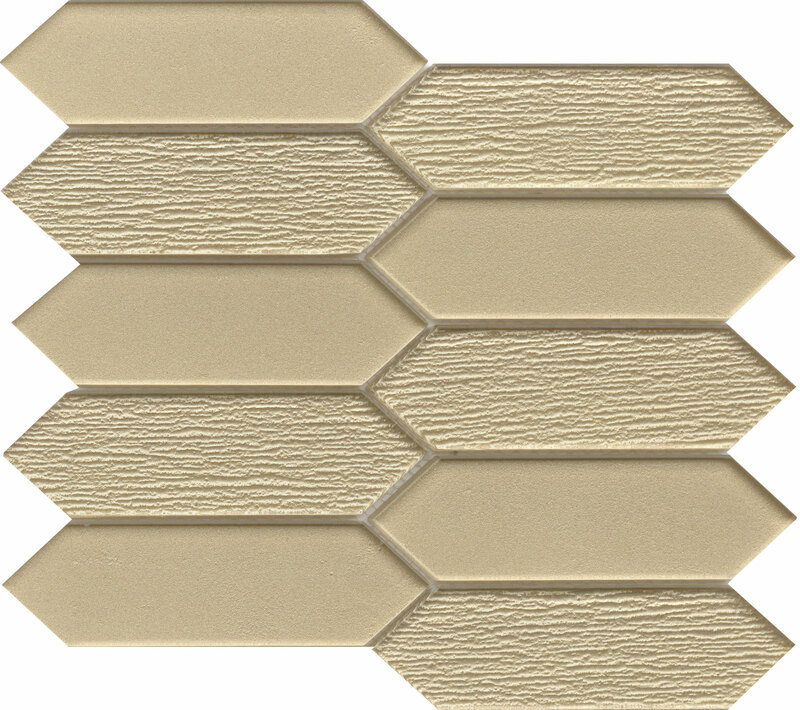 Visit our Schluter Profiles page or our Metal tile page for more information. 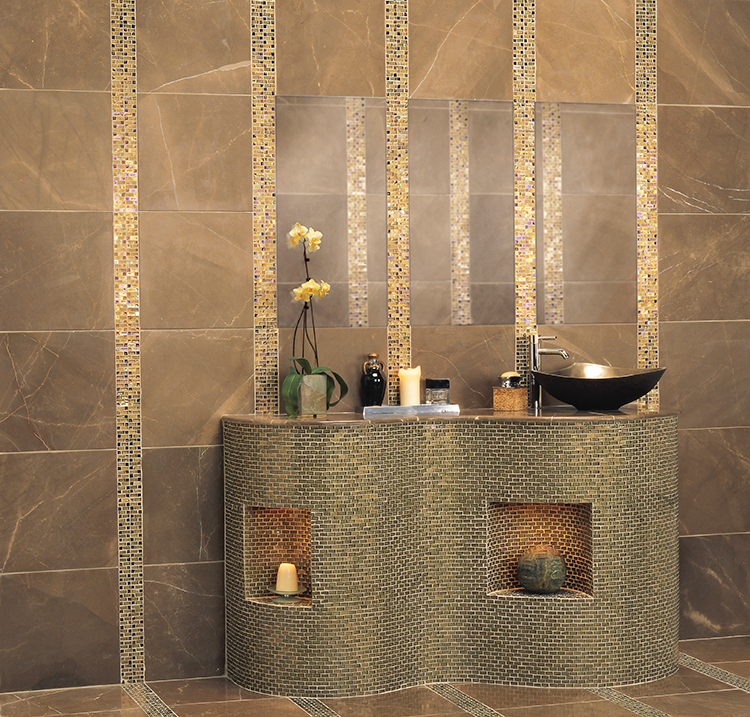 Sink into splendor with a decadent tub surround. 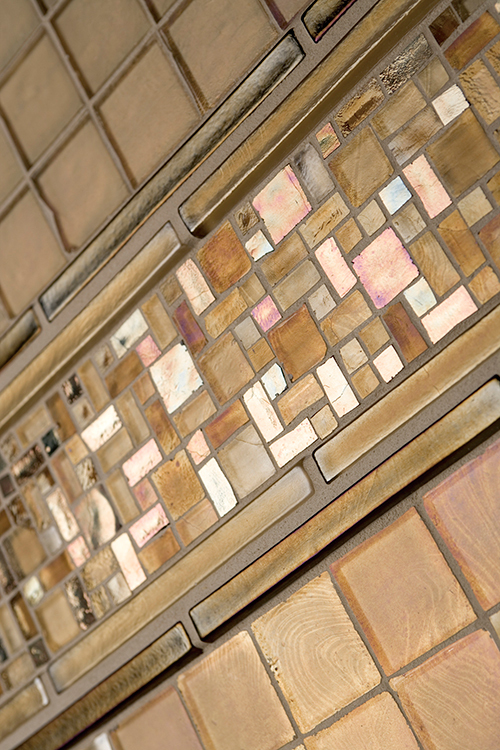 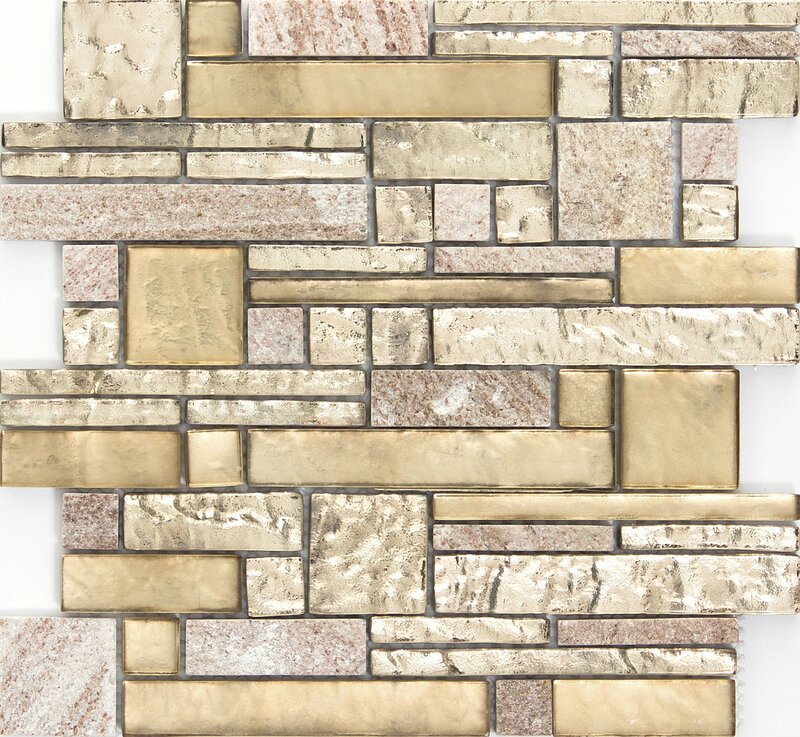 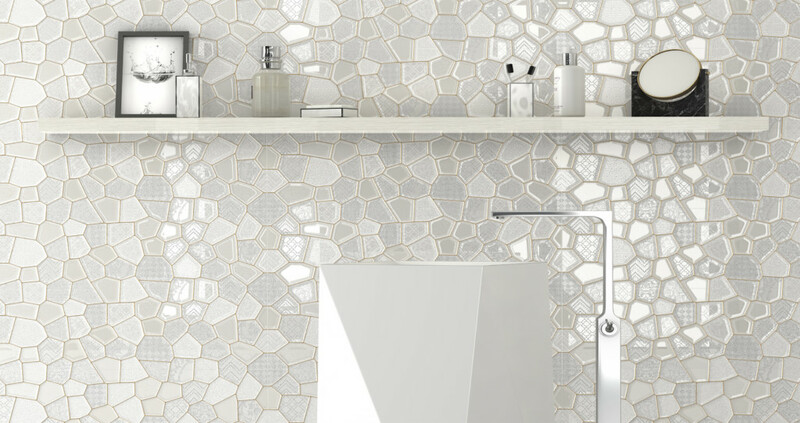 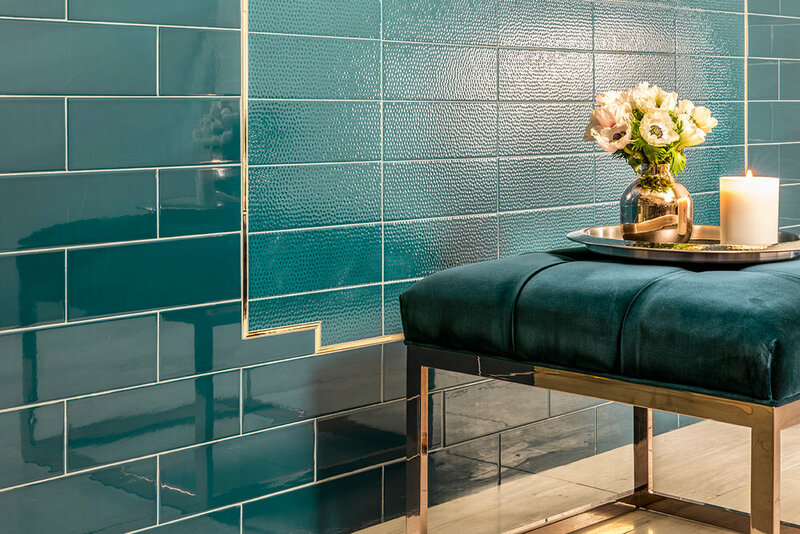 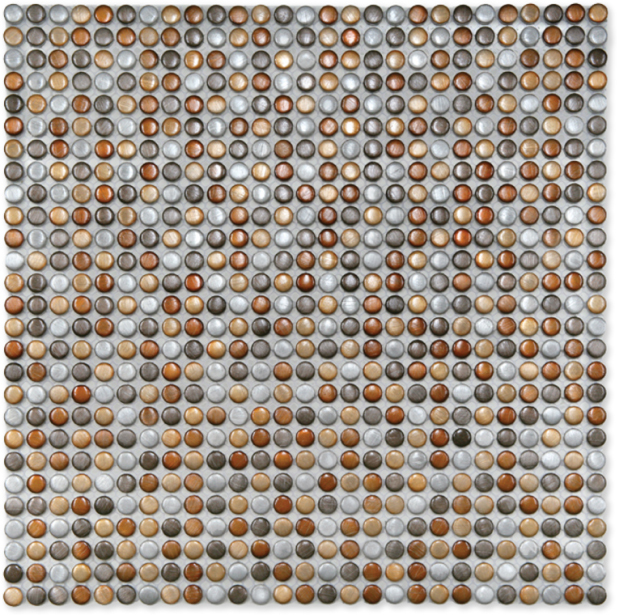 Plenty of glass mosaics have warm gold tones and iridescent finishes that are warm and inviting without the heavy metals. 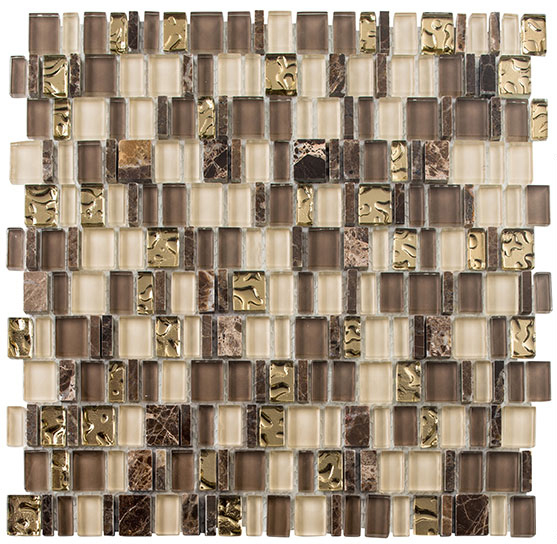 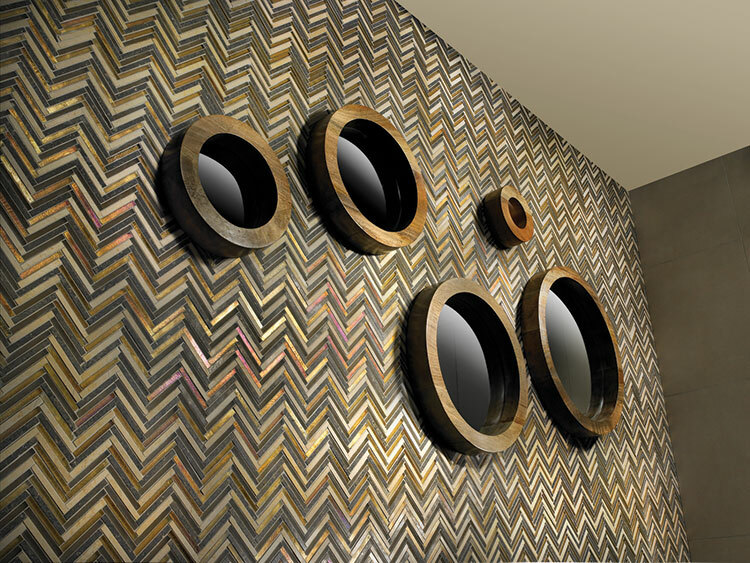 Weave matte, gloss, and iridescent finishes together for a rich, textured look, or wow with a wall of shiny glass. 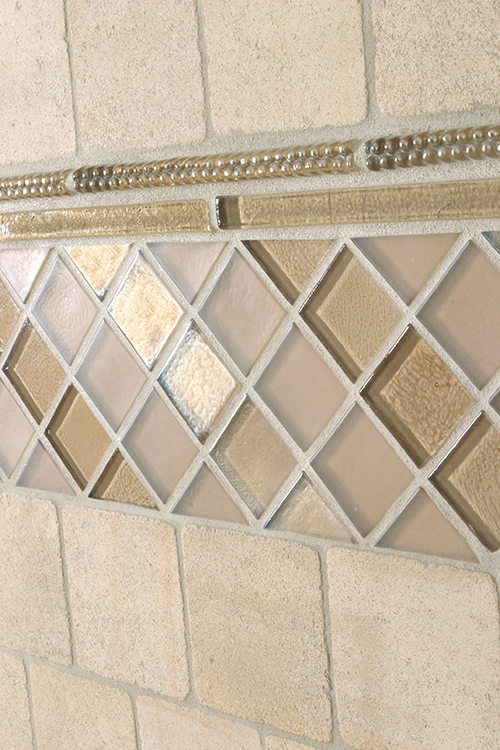 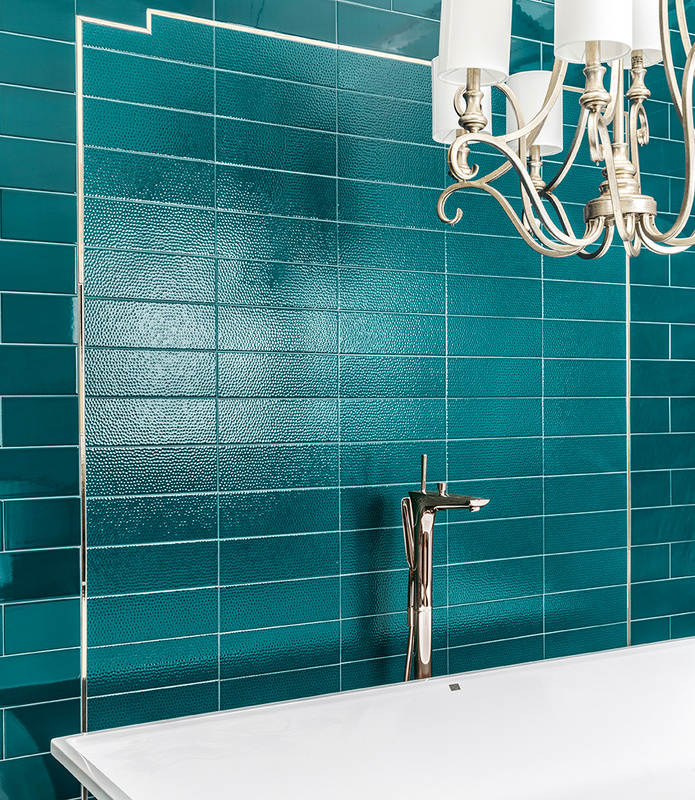 Learn more about glass tiles & mosaics. 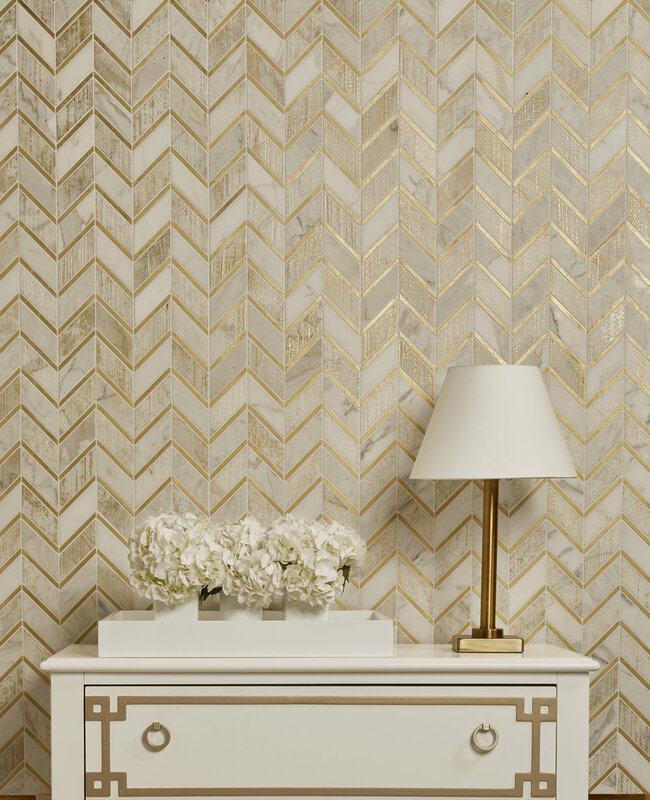 Art Deco Golden Glamour! 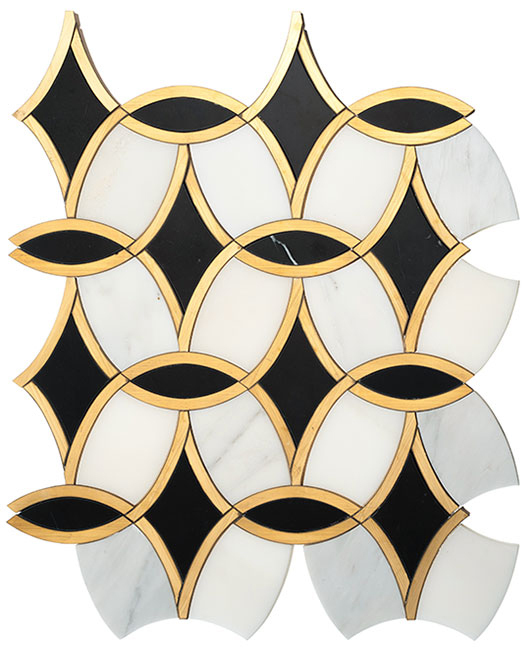 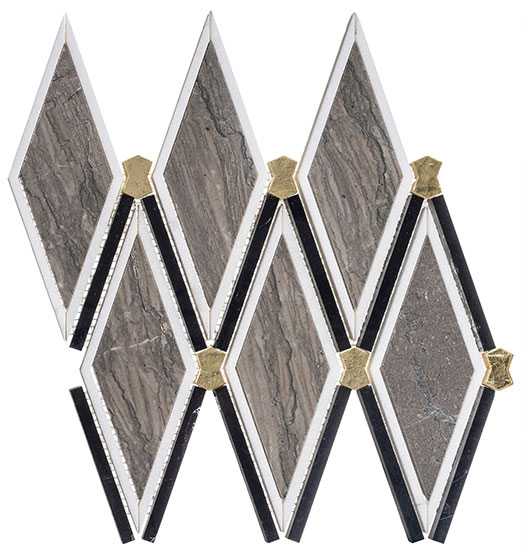 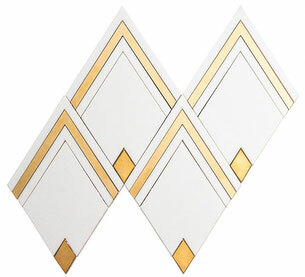 The white base tile adds balance to this simple diamond design and allows the brass elements to sing. 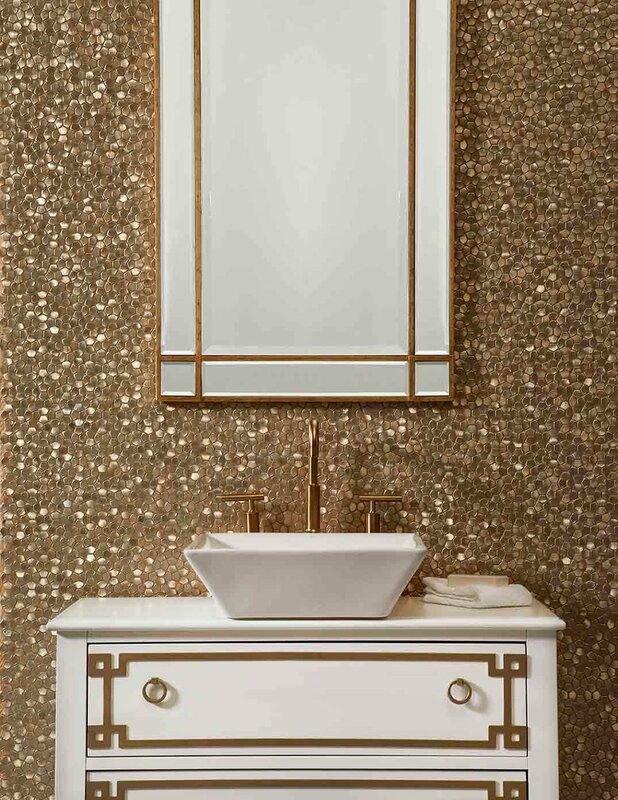 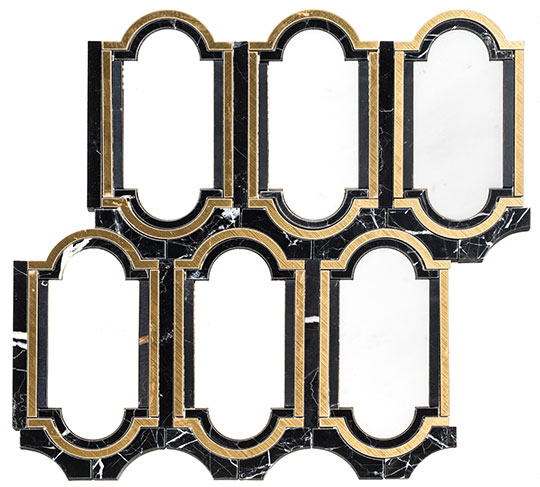 From gold-colored glass to marble with brass inlay, from golden glazed ceramics to foil-backed glass, there are dozens of gold mosaics available. 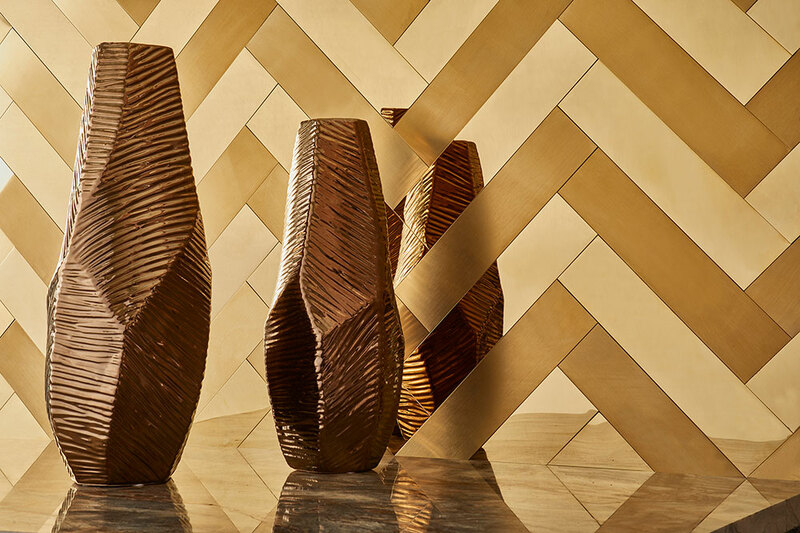 We'll help you find the perfect shape and style for your space! 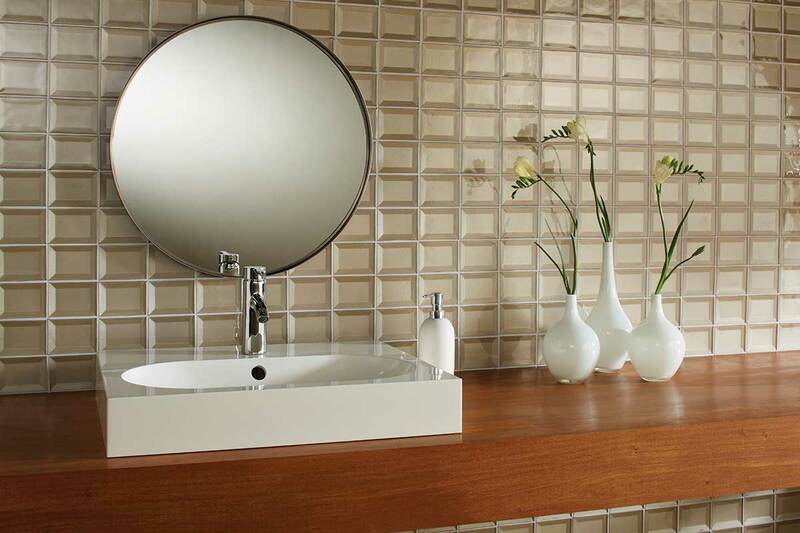 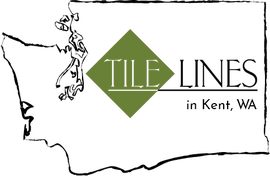 Schedule an appointment with a Tile Lines designer today.